Arsenal SLR107R (107-11): 2000rds Later – DEFORMED?! Video filming in progress – more material will be coming out involving AK74 on our channel. New Arsenal: SLR107R (Fixed Stock) 1000rds Later! Most exciting rifle of Shot Show, “budget” Arsenal AK, enters the 5k rounds challenge! Magpul Precision Rifle / Sniper Stock Gen3 is simply awesome. It offers 1/32″ step (per click) adjustments, so you can fine tune it for your body. I had a chance to run it little bit, short video below. We will have more on it, down the line, but Magpul really nailed it with that one. Rifle total weight with optic and bipod is 12 lbs and 11oz now. That’s not bad at all! Arsenal SLR104: 5000 Smiles Later! Final episode in epic 5000 rounds challenge! 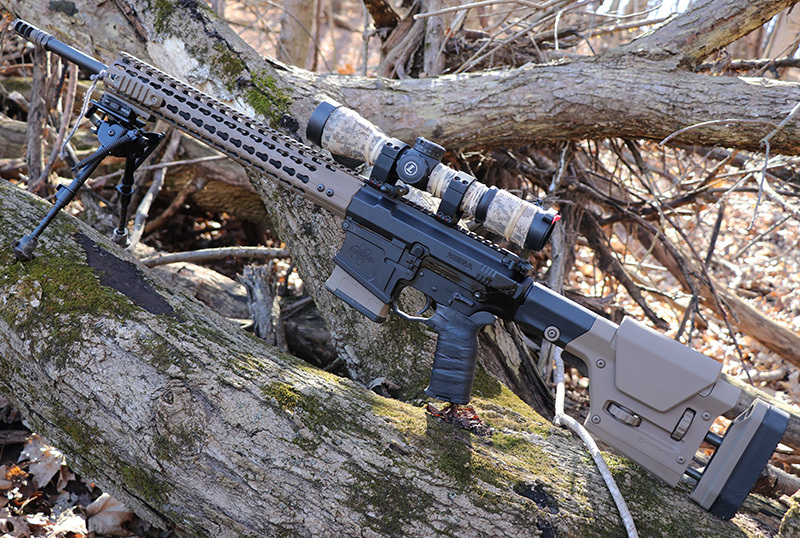 Budget AR15 – Safe Side Tactical: 1000rds! What $750 can buy these days? !